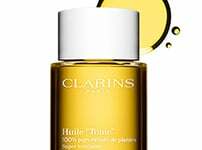 The 8th generation of Clarins’ cult classic serum continues to surprise! 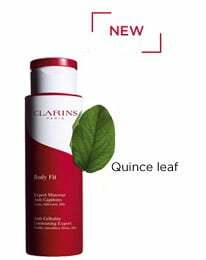 At Clarins, the constant search for excellence takes priority over the race for novelty: innovation and the discovery of new active ingredients dictate the evolution of our skin care ranges. A philosophy that is fully embodied by Double Serum, created in 1985 and of which we are extremely proud to introduce the 8th generation. The lipidic phase is now placed within the hydric phase. The new dial pump system allows you to customise the amount of product to apply, according to the skin’s needs, the climate and the seasons. The new Double Serum combines the richness of an oil, without the greasy feel, and the melting softness of an ultra-comforting gel. 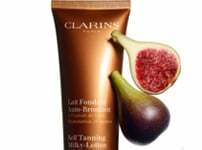 Its texture is suitable for all skin types (even sensitive) of all origins and ages. 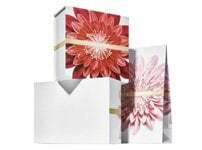 Its addictive scent, identical to that of the previous generation, provides unrivalled well-being. New Double Serum contains 20+1 supercharged organic and fair trade certified active ingredients in a double bottle designed with the environment in mind. Waste reduction: the double pump bottle delivers just the right amount of product and prevents overconsumption. 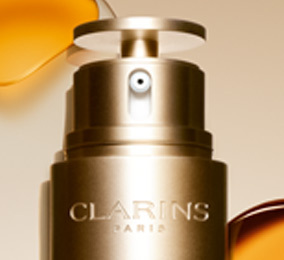 Discover the application method for the new Double Serum: Clarins’ way to optimise the sensation of well-being. Discover what makes Double Serum stand out from the crowd.